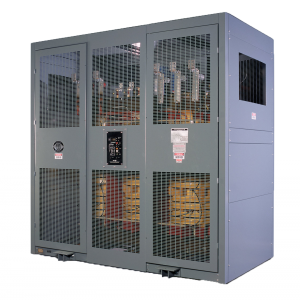 Installations of ventilated dry-type transformers do not require a liquid confinement area, automatic fire extinguishing system or fire vault. Drytype transformers use no insulating liquids, virtually eliminating the risk of local environment contamination and simplifying routine maintenance by eliminating the need to check, replace or clean liquid. Dry-type units are relatively lightweight and can be conveniently installed on upper floors, balconies, roof trusses or roofs. Insurance companies generally offer lower premiums for installations of dry-types than for liquid-filled transformers. Coils are vacuum-pressureimpregnated (VPI) with solventless polyester resin, ensuring complete impregnation of the windings and insulation.The finished VPI coils are incredibly strong, readily dissipate heat and are protected against moisture, dirt and most industrial contaminants. Ventilated dry-type winding designs vary depending on the voltage, basic impulse level (BIL) and current of the individual winding and/or application of the transformer. 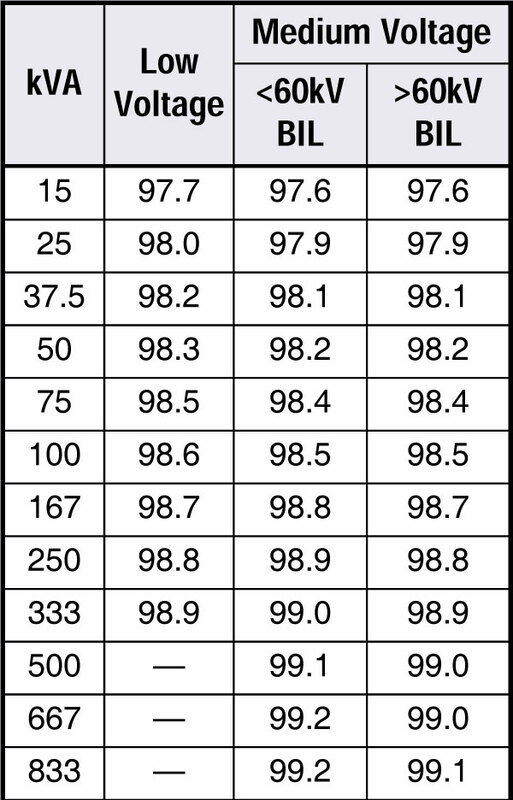 For all units, the insulation system will be 220°C regardless of the average winding rise. MGM ventilated dry-type transformers are designed for indoor or outdoor applications in schools, hospitals, industrial plants, commercial buildings and any place requiring safe and dependable power.Ventilated dry-type transformers offer an economical solution and are extremely reliable when properly installed and maintained. The standard indoor enclosure is NEMA 1, Category C construction. Enclosures are suitable for lifting, jacking, rolling or skidding with provisions for lifting from the transformer base. High voltage and low voltage ANSI ground pads are provided. The enclosure paint finish is neat, clean and highly resistant to corrosion. Metal surfaces are thoroughly cleaned of scale, oil, grease, rust and other foreign matter before painting. Unless specified otherwise, paint color shall be ANSI 61 (light gray). NEMA 3R outdoor enclosures are available for applications that prohibit indoor installation. Generally, low voltage (LV) windings less than 2,400 volts are either multi-conductor barrel or sheet conductor types. Multi-conductor windings may be more economical and preferred in smaller kVA low voltage applications in which the current and axial short circuit forces are relatively small. High voltage (HV) windings 2,400 volts or greater may be single-section barrel, multi-section barrel or disk types. Ventilated drytype coils may be either round or rectangular through about 2,000 kVA. 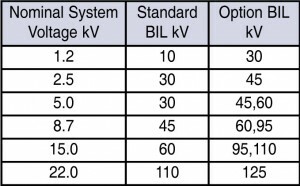 Transformers larger than 2,000 kVA generally are designed with round windings unless there are special considerations, such as limiting dimensions. The transformer cores are constructed of non-aging, high grade, grain oriented silicon steel laminations with high magnetic permeability. Magnetic flux densities are kept well below the saturation point. Core laminations are free of burrs and stacked without gaps. Mitered construction cores may be provided when specified. The core clamping brackets are designed to provide even distribution of clamping forces to the core yokes and legs. The core is electrically isolated except for the factory-installed core ground strap, which provides a single path from the core to ground. 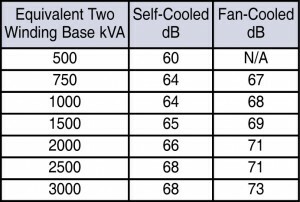 All units rated 750 kVA and higher can have added fans, increasing capacity in all current carrying parts for the fan-cooled rating and capability to add a thermometer relay to control fans. When specified, the transformer shall be provided with fans to give a forced air-cooled rating of 33% above the self-cooled rating. Control wiring (wire markers included), a thermal sensor and a fan controller will be supplied. The transformer shall be designed to meet or exceed ANSI and NEMA sound levels for dry-type transformers. 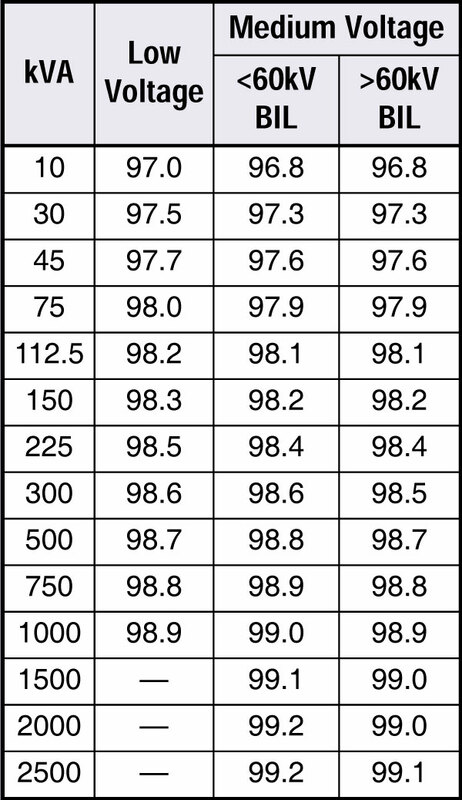 As an option, transformers designed at -3dB below ANSI and NEMA standard sound levels are available. in accordance with applicable ANSI standards at an additional cost. 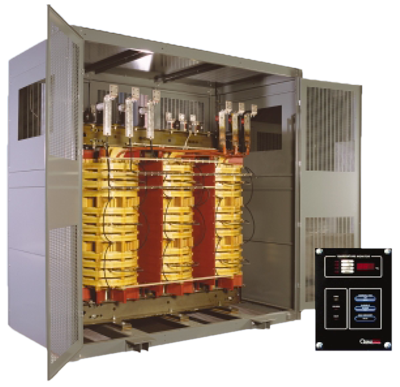 When specified, transformers can be closecoupled to a multitude of High Voltage and Low Voltage Switchgear.